Electrolux EIED50LIW IQ-Touch 8.0 Cu. 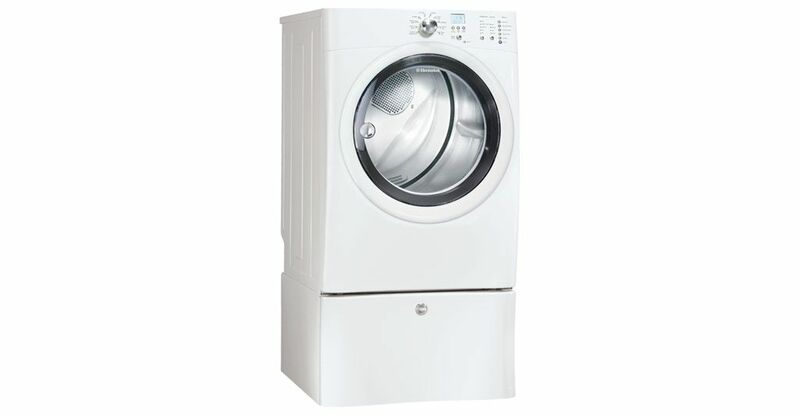 Ft.
Electrolux EIED50LIW is a device that allows you to dry large loads in one sitting. A normal load takes up about 40-50 minutes to dry, leaving you enough time to do other important things. 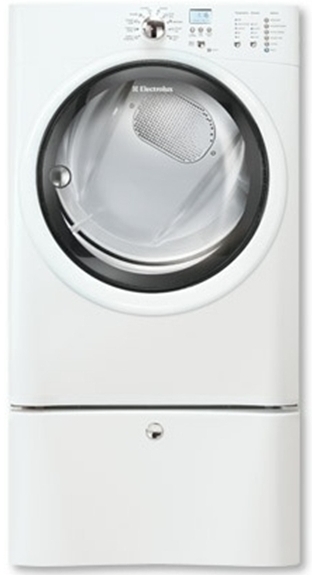 Although it has some cons, this Electrolux appliance is one of the best dryers that can make your life more organized. On the performance front, it has a great repertoire of cycles. 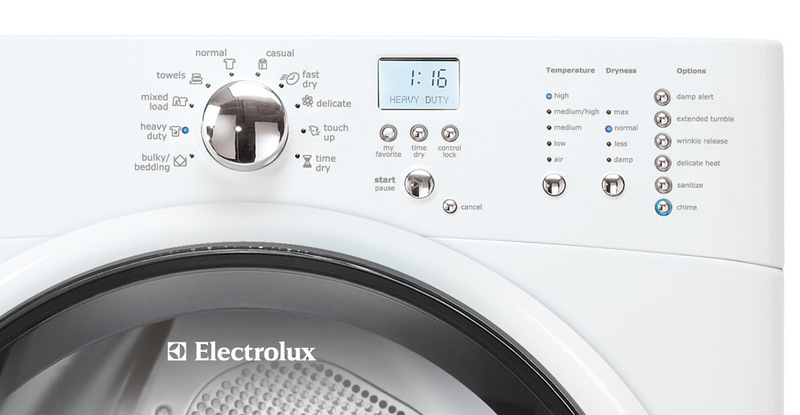 All in all, this Electrolux dryer is worth checking out. So, let’s see more about its specifications and features. Weight: Product weight: 130 lbs. ; Approximate Shipping Weight: 140 lbs. Capacity (cu.ft. ): 8.0 cu. ft.
Capacity of 8.0 cu. ft. to accommodate large loads. 11 Drying Programs to properly care for different types of fabric. 5 temperature settings provide the proper heat so that you can be sure that your clothes are not over-dried. Painted Steel Drum that protects the clothes from damage. IQ-Touch Electronic Control with LCD Display Screen keep the cycles and options easy to select and work with. Exact Dry Moisture Sensors measure the drum’s moisture during a drying cycle and automatically adjusts the temperature and drying time for optimal fabric care. 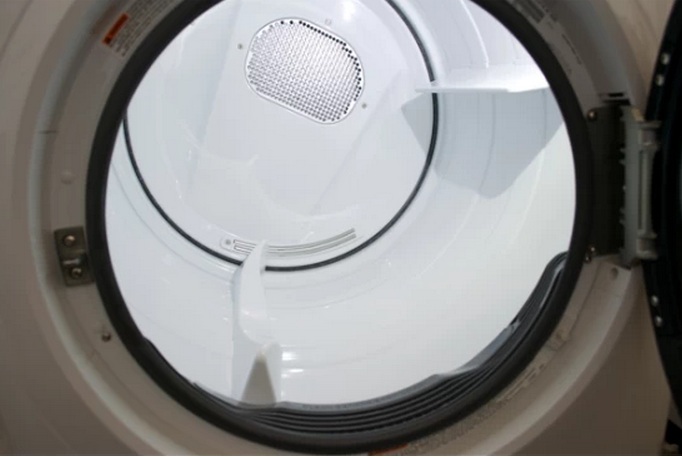 Luxury-Quiet sound system makes the dryer quiet – your guests won’t notice that something’s working in your laundry room. 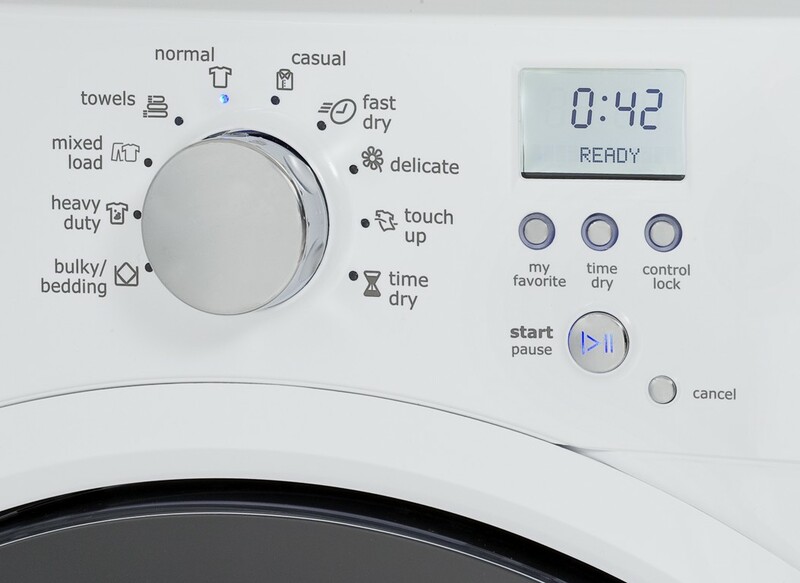 Gentle Tumble Dry system and its exclusive technology gently tumbles the clothes with exceptional temperature control in order to help protect fabric while drying. 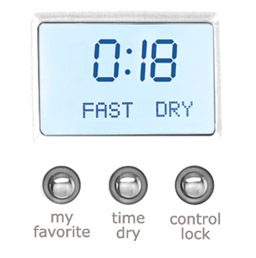 Fast Dry Cycle is great if you need your clothes dry and ready in short time; in just 14 minutes, your clothes will be perfectly dry. End-of-cycle signal alerts that the dryer is finished. NSF Certified – Sanitize cycle kills 99.9% of common bacteria. Favorite Setting available at the touch of a button. I couldn’t find a video related to this Electrolux appliance. Clothes are dried quickly and with a minimum of wrinkles. The drying performance is quiet and smooth. The lint filter is easy to clean. The need for ironing is eliminated. Versatile installation options include Under Counter, Freestanding, Pedestal, Stacked (Over Washer), Second Floor and Hidden (On Closet). You no longer have to run the load through several times to ensure each garment is dry. With the ample settings, you can properly set the timing on the first try. In order to turn the drum light on, you have to open the door. Independent drum light control would make the dryer better. The door doesn’t shut well all the time: it might bounce open. Effective and quick cycles combined with sleek and good-looking design makes this dryer an ideal appliance for every family. The price isn’t outrageous – especially if we consider that the Normal Cycle took 46 minutes. Let’s not forget that the closing mechanism is the biggest drawback to this dryer. If you’re looking for a dryer that looks sleek and is quick, then this Electrolux dryer may be for you.